While ever green Tuesday turned into a surprise red for eager dip buyers the divergence to international markets continues to be notable. The Dax is now down over 3% since last Thursday and continues to get pummeled overnight along with Japan, China and just about everybody else with US futures down only a fraction of comparative overseas losses. What makes the US the impenetrable fortress of sunshine? And how long can this divergence continue? I think part of the answer lies in the fact that many more people than acknowledged by put/call ratios, bull/bear sentiment, etc. are actually heavily short the market via hedges. Keep in the mind that most shares are never traded, but held in long only fund positions. Daily trading volumes are only a relatively small percentage of the float and how sentiment of that traded float is handled has a driving impact on price. Calculating the shares short versus the actual float reveals that 28% of $SPY shares are short. 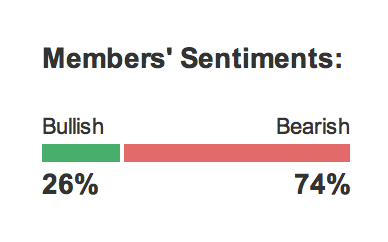 In case of the $IWM it’s even worse: 51%. Wow. $QQQ is actually better with only 12.4% short, but still these are staggering numbers. What this tells me is this: The holders of long stocks (i.e. institutions and funds) know that markets are way too high here, but they can’t really sell and their business model is based on marketing for fund flows and so they hedge. Yet as markets go higher hedges are a drag on the portfolio and so they trade their hedges. In essence providing an additional buy source for the market in addition to buybacks, QE, algos etc. Shorts cover at every opportunity. The market has trained them to do so. Hard to see markets drop substantially with this revolving door of shorts covering non stop. So ironically this creates a circular recipe for excess: People know markets are too high, so they hedge, but liquidity and algos keeps driving prices higher causing hedgers to cover driving prices higher which causes new shorts to cover as algos chase stops and so forth. Hence we see an ever widening disconnect to fundamentals and macro reality. All this means is that the eventual drop will be so much harder and more painful. Bottom line though: Nothing will change in this dynamic until long positions are reduced and hedges are actually maintained. Given the oversized leverage in the system the decline I suspect will eventually be stunning in speed and size. But I can’t know when this happens. For now all these mechanics explain to me why we are not dropping on bad news or any reason. The FOMC seems oblivious to the monster it has created, or if they are aware, they can’t really do anything about it. Neither can I, but to try to trade it as best as I can. 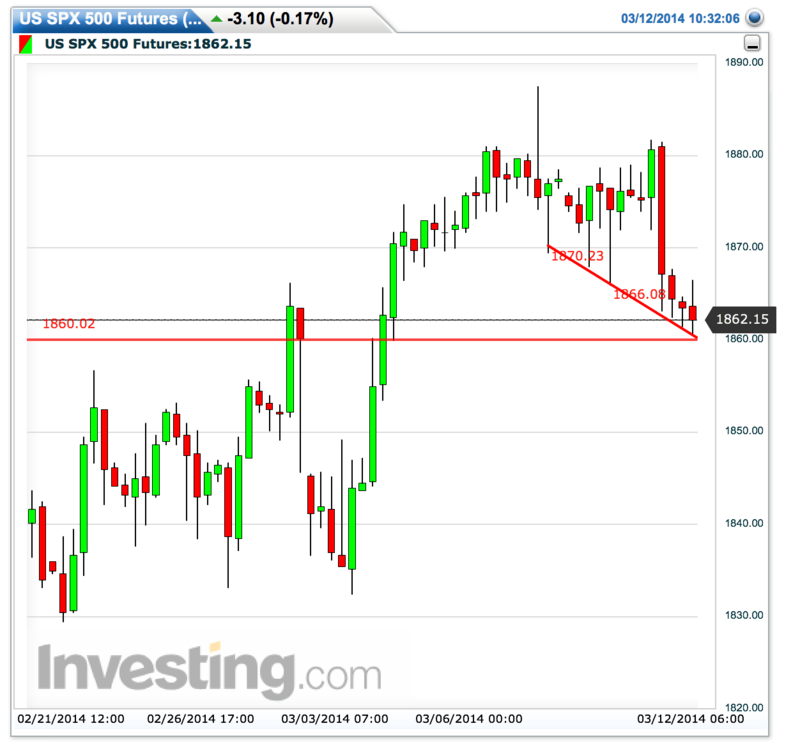 Overnight we are seeing futures drop to the 1860 level I outlined yesterday. I guess massive collapses in copper prices are getting the world’s attention. And how can a 777 Boeing just disappear? Bizarre. So now we are looking at day 5 of a decline with the large gap still remaining unfilled. Next week brings OPEX and the almighty Yellen pronouncing her ever accommodative stance at next week’s press conference. In short: We may be setting up for an oversold market by next week which provides yet another opportunity for hedgers to race to cover (a repeat of the December scenario). It seems silly that we have to game markets on these artificial mechanics, but it is reality and we have to trade reality. Trade plan: Unless we break 1845 $ES this week I will aim to continue to lock in profits keenly aware that the short term short scenario is rapidly running out of time. 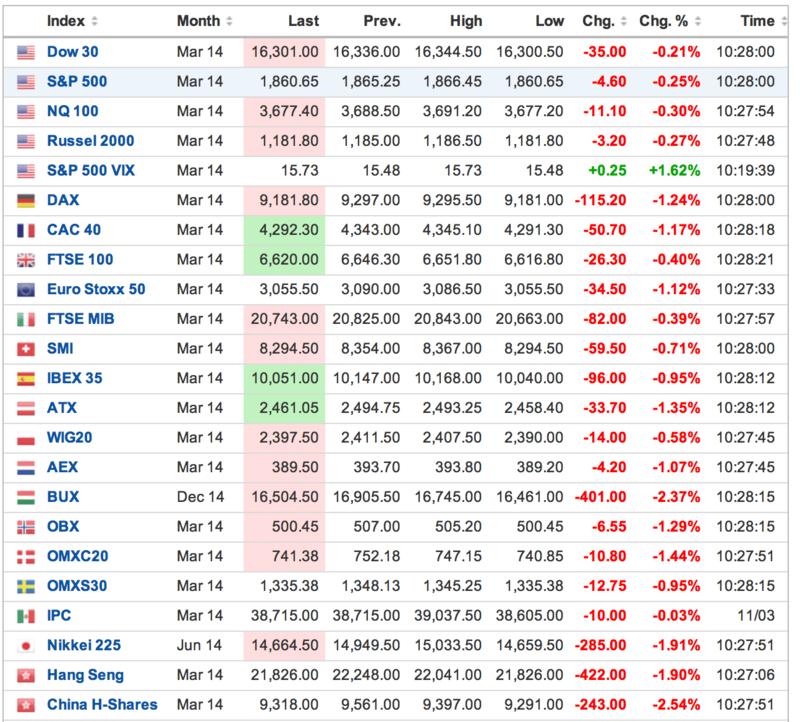 The end of March is seasonally weak. Yet next week still has some strong days in them, specifically Monday through Wednesday. 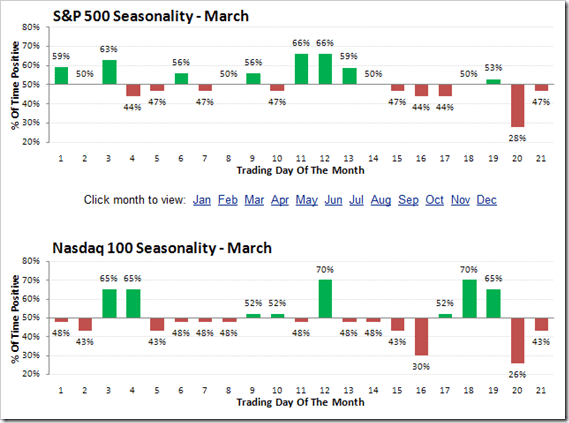 I still have some lower strike $SPY/IWM/QQQ puts for March OPEX. Some are in profit others are not. As we head for gap fill I may close some or all. For now the best course of action seems to be to just day trade options and leave overnight holds to just futures positions. This tactic certainly has paid nicely during the past few days with multiple day trades long and short in the $SPY calls and puts at key levels. I’ll keep pursuing these trades in the days to come.